Rotator cuff injuries are often caused by muscle tears, overuse, hyperextension or hyperflexion of the shoulder, poor throwing form, as well as many others. 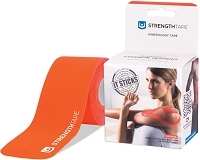 Turn your body slightly away from the person applying the tape. Tilt your head to the opposite shoulder by turning away and looking down. With good posture, make sure your arm is dropped along the side of your body and completely relaxed. Anchor the 1st strip at the end of the bone on top of the shoulder. 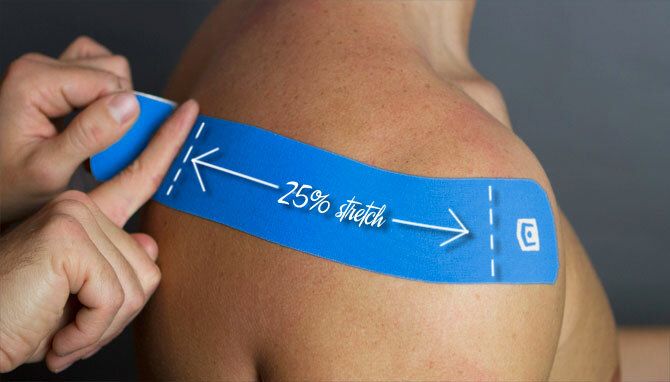 Using 25% stretch, follow the bone of the shoulder blade. Applying the end with absolutely zero stretch. 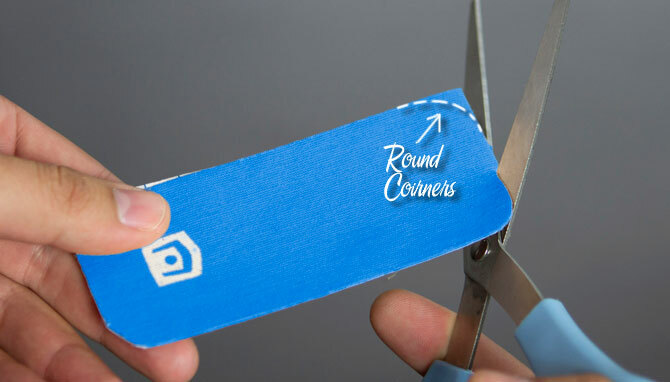 Fold a full strip of tape in half and cut rounded corners along the folded end of the tape making two short strips. 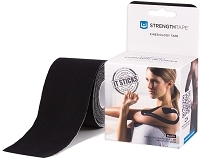 Apply the 1st half-strip with 75% stretch on the backside of the shoulder. Make sure to anchor the ends with absolutely zero stretch. Apply the 2nd half-strip with 75% stretch next to the 1st half-strip towards the spine. Remember to avoid touching the adhesive as much as possible. Give the area a good friction rub to slightly warm the area, which will allow the tape to really stick.